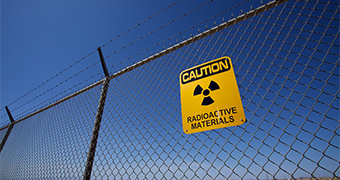 Nuclear royal commissioner Kevin Scarce says SA could take 13 per cent of the world’s nuclear waste. A nuclear dump in South Australia could take 13 per cent of the world’s waste, meeting a “global need”, and be operational by the end of next decade, an inquiry has found. The Royal Commission into the Nuclear Fuel Cycle also found SA could benefit from further developing the state’s role in the nuclear fuel cycle. While steering clear of nominating a site for nuclear waste, the inquiry found the “likely” development of a storage and disposal facility of used nuclear fuel in SA could be operational in the late 2020s. Commissioner Kevin Scarce said there were 390,000 tonnes of high-level nuclear waste in worldwide inventories, and nearly 10 million cubic metres of intermediate-level waste — all of it produced from nuclear power generation. He said SA could take 13 per cent of the world’s waste. “Nations have not been able to find a disposal solution that meets their geology,” Mr Scarce said. A 138,000-tonne facility built in South Australia would be expected to generate a total revenue of more than $257 billion, with costs of $145 billion “over 120 years”. He said South Australia could benefit from forging contracts with those that buy its uranium to store the waste products as well, as part of a concept entitled “fuel leasing”. “Thirty per cent of the word’s uranium is produced in Australia, 80 per cent of that from SA,” Mr Scarce said. The Government said it would require a minimum contract of 15,500 tonnes before it proceeded with establishing a facility, and would not take a tonne of waste until such a target was met. Mr Scarce said the timeframe of building a deep geological disposal project would take 30 years, based on the timeframe it took for Sweden and Finland to set up similar successful projects buried 400 to 500 metres underground. Both Finland and Sweden only store their own waste at present, but Sweden intends to receive nuclear waste from further afield. Mr Scarce said building a storage and disposal facility would generate about 1,500 full-time jobs — “peaking at between 4,000 and 5,000” — during the construction process, with 600 ongoing jobs. Once established, it would create about $5.6 billion of revenue for SA annually, equating to about $3,300 per capita in SA for the first 30 years. Mr Scarce said SA had unique characteristics that made it suitable, such as a stable geology, being relatively stable seismologically, and with “stable economic and political structures”. “There are a range of risks associated with storage of used fuel, including transport and storage disposal,” he said. Mr Scarce flagged the potential for two sites to be constructed, one for high-level waste, the second for intermediate waste, which the Government would seek to construct first. “The interim storage facility gives us the ability to generate revenue that we can use to develop the geological storage,” he said. He said he wished media “would not use the word dump”. “It’s a sophisticated engineering facility, with world-class infrastructure, it has no bearing whatsoever to a dump,” Mr Scarce said. He said the proposal would require bipartisan support at a national and state level and delaying a commitment would open the project to competition. “Most extraordinary costs are associated with nuclear are because there are delays,” Mr Scarce said. The royal commission found it would not be “commercially viable” to generate nuclear power in the near future, but said nuclear power could become necessary to meet global emission reductions targets. “Our relative isolation from interstate limits our ability to import and export electricity,” Mr Scarce said. “Considering the cost of generating nuclear power, we don’t think it’s commercially viable in current market rules. Photo A worker labels yellow barrels containing potentially radioactive material at the former Rheinsberg nuclear power plant. “That being said, nuclear is a low-carbon energy source, comparable in carbon emissions with renewable technology. The commission found that relative to other regions in the National Electricity Market (NEM), SA had one of the “highest average wholesale prices and some of the greatest price volatility”. “Identifying whether a particular generation portfolio will deliver electricity at the lowest possible cost requires an analysis of the future costs of the system as a whole,” the report said. The commission further found potential for an expansion of the state’s uranium mining but said it was “not the most significant opportunity at this time”. “Currently regulations are sufficient to manage an expansion of that particular industry,” Mr Scarce said. He said the nuclear accident at Fukushima had resulted in an oversupply of nuclear fuel and future demand was “unknown”. “There’s been a lot of fear generated in relation to the nuclear industry,” Mr Scarce said. “I don’t think the positive side of nuclear power gets reported. “There have been serious accidents, but not significant loss of life. “Climate is the most pressing issue. Photo About 40 protesters attend a public meeting about a planned nuclear waste dump for SA. The commission heard from 128 witnesses and received more than 250 submissions. The first in a series of statewide public meetings at which Mr Scarce will outline his tentative findings was held at Adelaide Town Hall tonight. A vocal crowd of about 40 anti-nuclear protesters gathered at the meeting. The protesters are from groups including Mothers for a Sustainable South Australia. The commissioner’s final report is expected in May. Click here to read the interim findings. Posted on February 17, 2016, in ConspiracyOz Posts. Bookmark the permalink. 1 Comment.